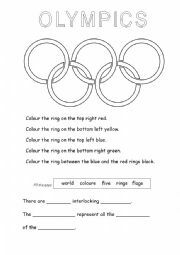 Students colour the rings following the directions. Useful for revising left, right, top, bottom etc as well as colours. Answer key included. Fully editable. Short text with cloze exercise. Numbers 1-6, 1st - 6th. Practice using and spelling these. 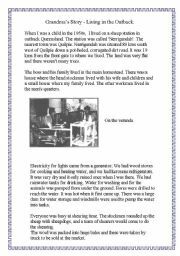 A reading adapted from a newspaper report with some comprehension questions. 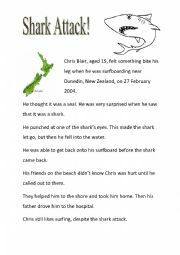 Extra information about sharks and shark teeth with an exercise on adjectives. Fully editable. Easy reading with comprehension questions. Revises question words: who, what etc. Wordsearch using vocabulary from the reading. This reading is a true account. 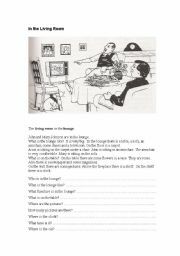 There are two past simple verb exercises (regular and irregular), a set of questions about the text, a word find puzzle, and a section where students can write about themselves. I have included a Glossary of words to explain the meaning of some of the Australian terms. If you have any questions, please ask. 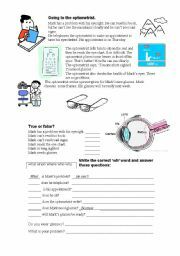 Easy reading about a visit to the optometrist with useful vocabulary. 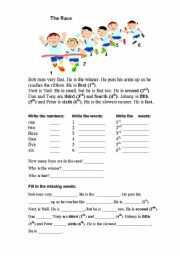 Comprehension questions, and practice using What, when etc. A reading about motorbikes with some exercises. 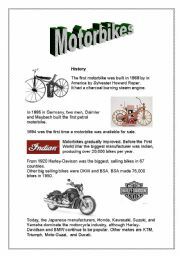 Motorbike related vocabulary, using comparatives/superlatives and comparing active and passive voice. An answer key is included. 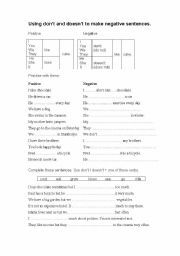 A revision and practice worksheet for using don�t / doesn�t + simple present verbs when making negative statements. 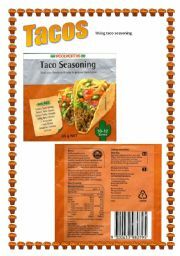 A worksheet to practise finding information on food packets: Ingredients needed, cooking instructions etc. A page of activities including questions, multiple choice, fill the gap and putting cooking directions into the correct order. Fully editable. Answer Key included. Students make a list of words as directed and then use the words to fill in the blanks of a well known fairytale with hilarious results. 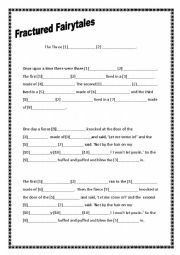 Have the students make their word list before they see the story and don�t let them know which fairytale it is. Fully editable.